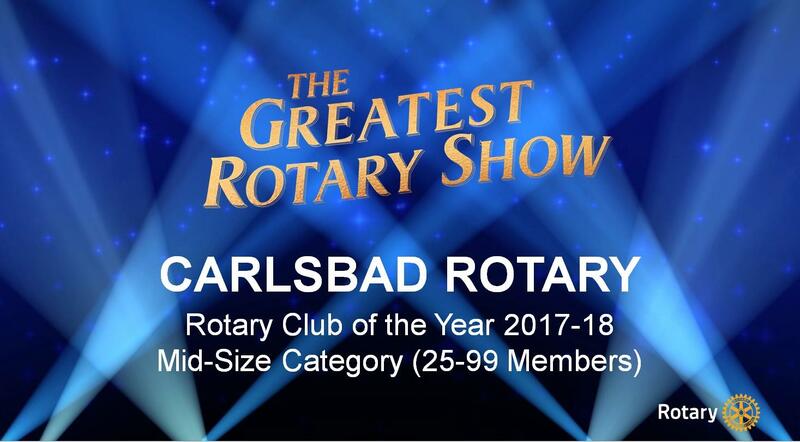 The Rotary Club of Carlsbad is a leadership organization made up of local business professionals and civic leaders. We meet regularly, to get to know each other, form friendships and through that we are able to get things done in the Carlsbad, North San Diego County and the International community. We are proud of the philanthropic work that we do locally in Carlsbad, and we are fortunate to very active members involved in international projects in Mexico, South America and South Africa. 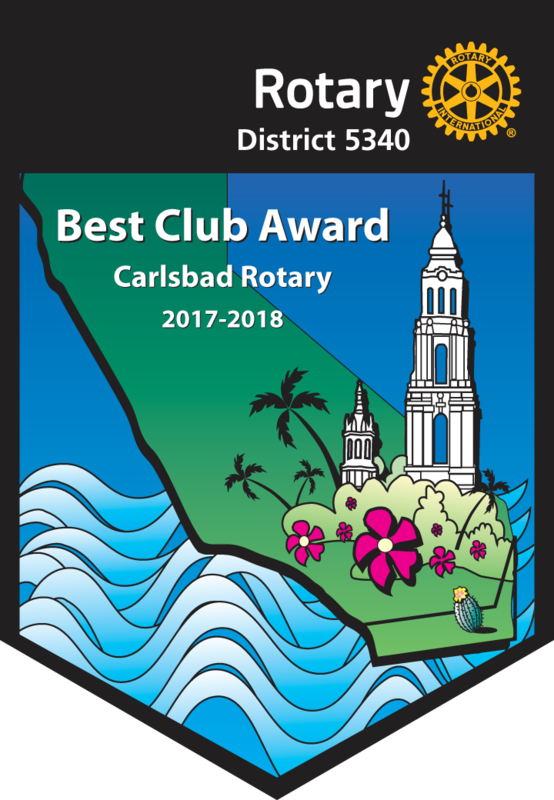 In 2018, our club received the Best Club in the District Award (mid-sized category)! Come join us and find out why. The Carlsbad Rotary Club request the donation of used but useable furniture, appliances, kitchenware, electronics, bedding, linens, etc. to young Marine Corps and Navy families at Camp Pendleton. Your donations will help these families establish and/or upgrade their homes. Your donations will be given directly to those families in need, or warehoused until families are identified as having a need. Items donated will not be sold and those families receiving item(s) are obligated to return the item(s) given when no longer needed so others can use them. Mrs. Linda Sundrum, Pendleton Community Service Fund, Camp Pendleton will schedule a pickup date, convenient to you. Personnel will be provided to move all items. Mrs. Sundrum can be reached at 760-415-9990. A Short Video About Our Club! Prior to forming LVDI International, Dr. Andy Phillips was the Deputy and Acting Director of Research and Conservation at San Diego Zoo Institute for Conservation Research, which was previously Center for Reproduction of Endangered Species. Dr. Phillips was responsible for developing and administering numerous field conservation and research programs in Africa, Central and South America, Australasia, and Asia. Before retiring early to pursue his passion for conservation education, Dr. Phillips established the Institute’s Conservation Education Laboratory. Director of Development Chelsea Buck-Leilich gave a moving presentation on the work of Interfaith Community Services, the largest social services agency in North County. “Our goal is to help all we serve to reach a place of self-sufficiency and independence, so they’re not coming back to Interfaith over and over for years to come,” she said. Ava Payne introduced Katie Sanderson, Exhibition Director for the Oceanside Museum of Art. OMA is a crowned jewel among regional museums in America, focusing primarily on Southern California artists, both contemporary and historically. It is located on Pier View Dr., 100 yards east of Oceanside Library, next to City Hall. At any given time, the museum runs 4 to 5 exhibits, diverse in tone and genre. Katie described the process of developing and curating exhibits, bringing in works, and teaming them at times with educational programs. As of June 2016, there were only 16 cases of wild poliovirus in the world. 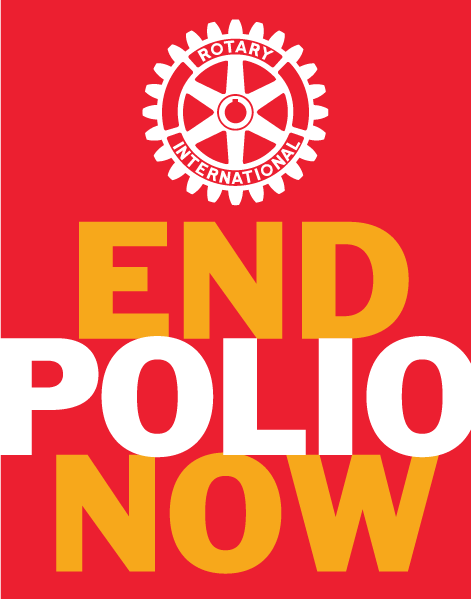 We are very close to eradicating this disease!